Download ppt "Take Part. Get Set For Life. 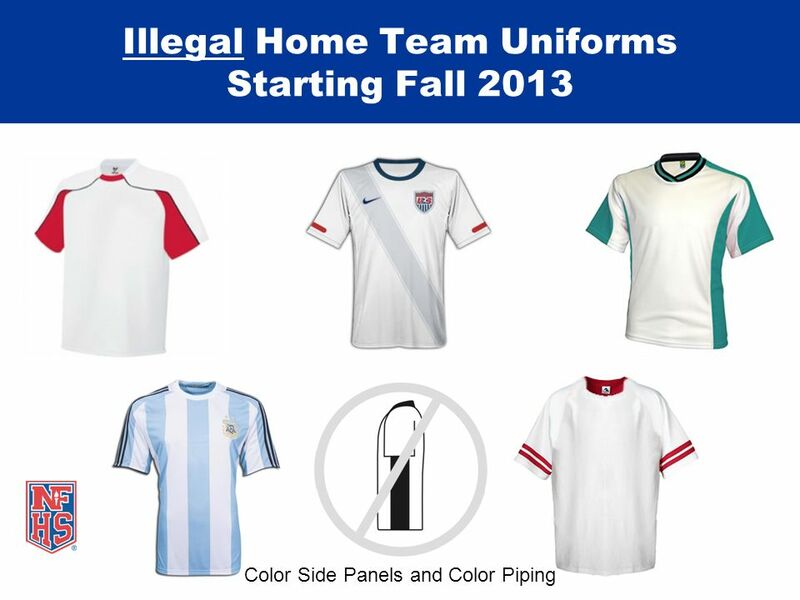 National Federation of State High School Associations NFHS Soccer Uniform / Shinguard Requirements (as of October 25, 2010)"
Basketball Registration Deadline Basketball Registration Deadline September 30. 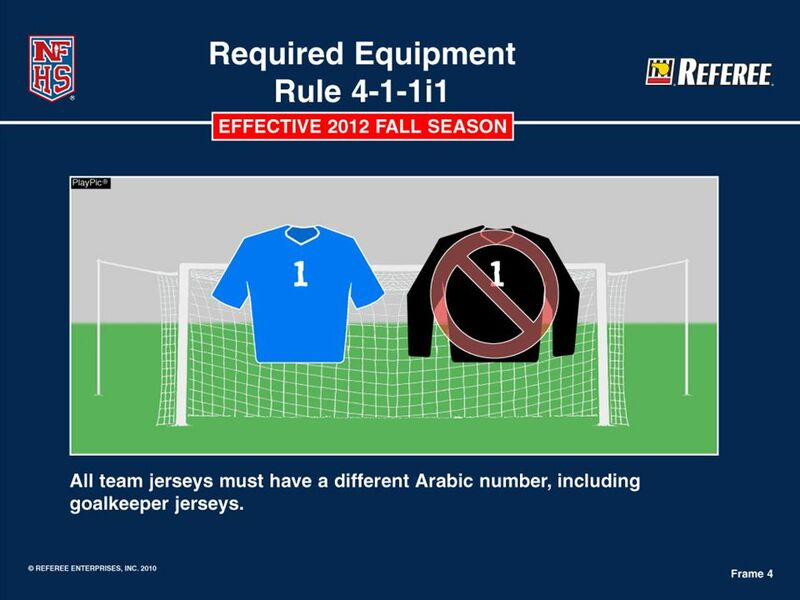 FOOTBALL JERSEY RULE Implementation date changed to 2012. Take Part. Get Set For Life. 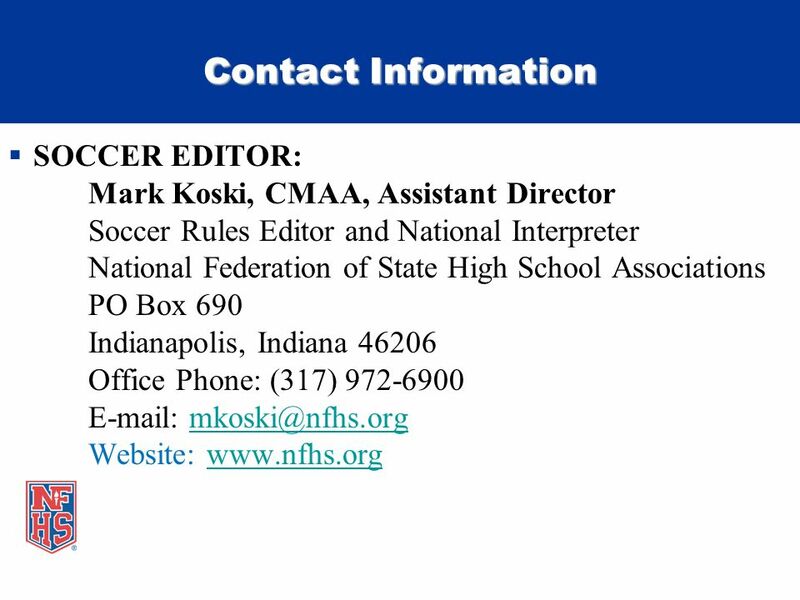 National Federation of State High School Associations NFHS Soccer PowerPoint. Take Part. Get Set For Life. National Federation of State High School Associations Unsportsmanlike Conduct Any action(s) that warrants a coach(es) ejection. Take Part. Get Set For Life. National Federation of State High School Associations Swimming and Diving NFHS Uniform Criteria. Soccer Rules & Editorial Changes NH Technical Institute Concord, NH July 30, 2011 National Federation of State High School. Take Part. 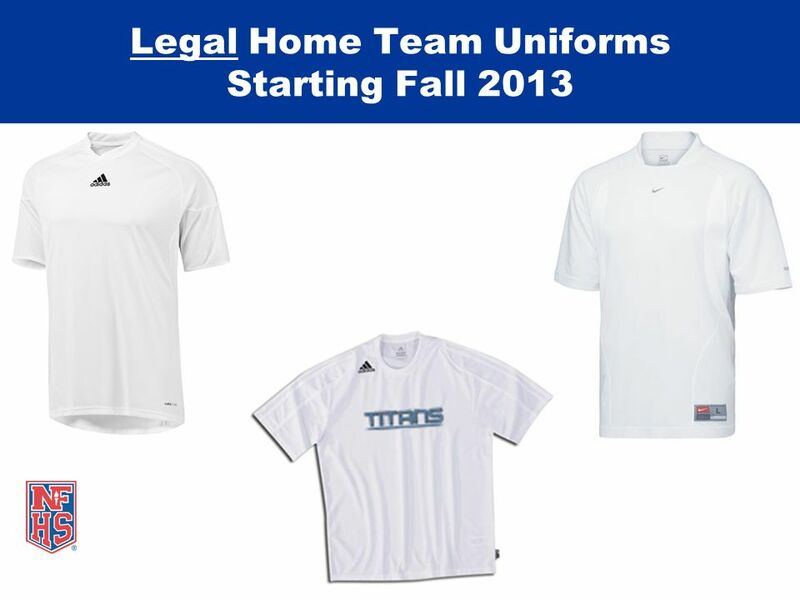 Get Set For Life.™ National Federation of State High School Associations NFHS Basketball Legal Uniforms. 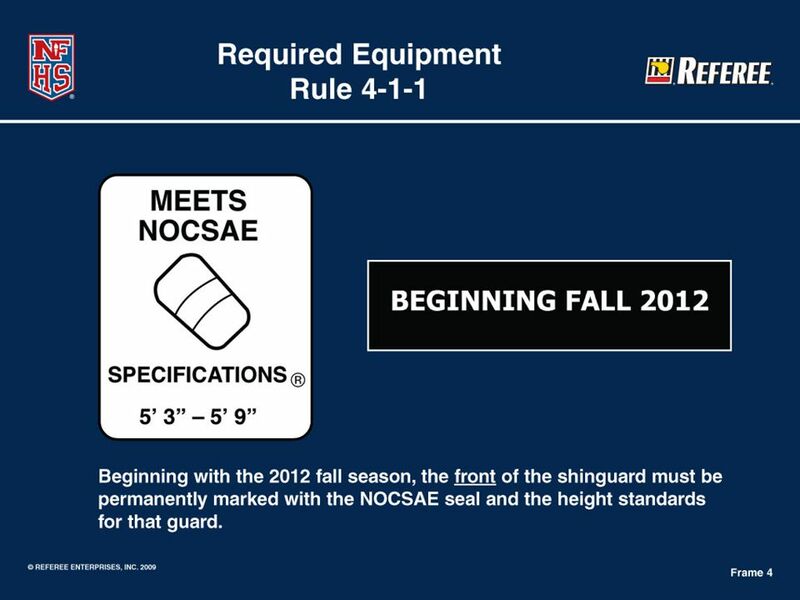 LAW 4 THE PLAYERS’ EQUIPMENT. 5 TOPICS 1. 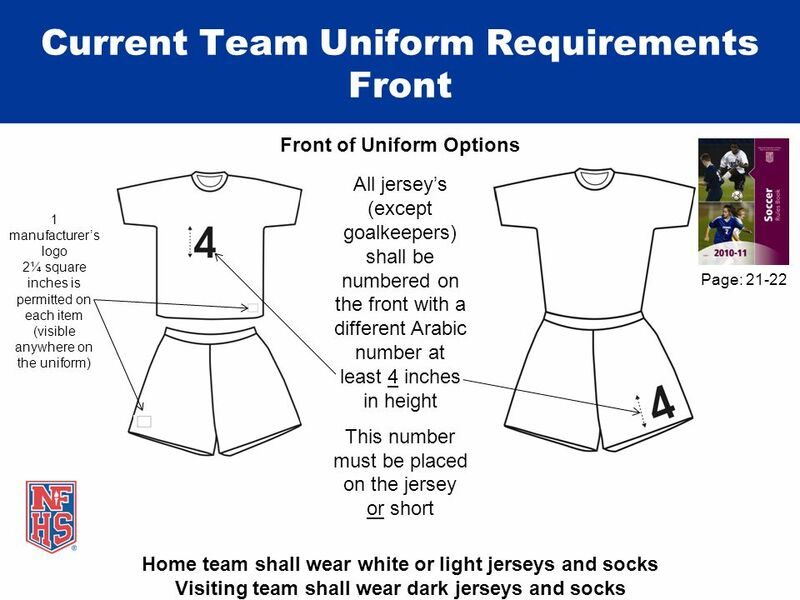 Required equipment (uniform) 2. 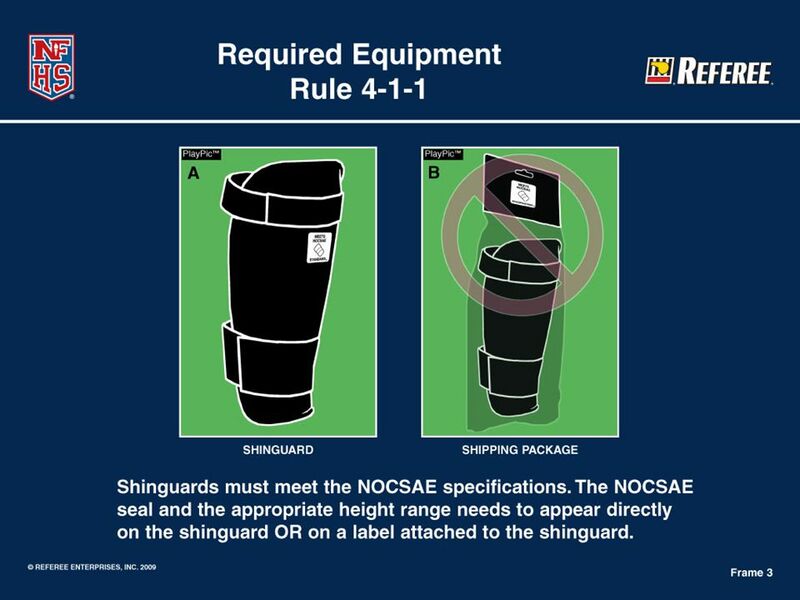 Non-dangerous equipment 3. 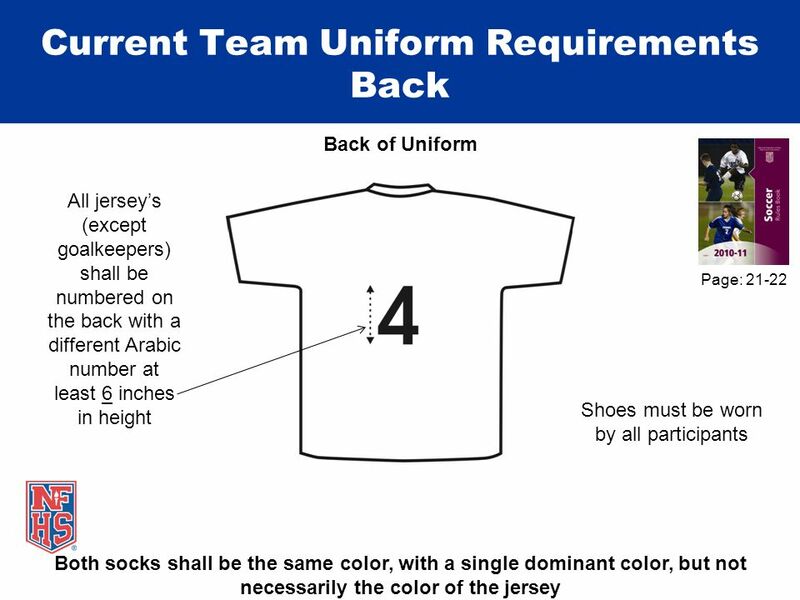 Uniforms / Colors 4. Violations 5. Local Rules. The Florida High School Athletic Association... building leaders through teamwork, sportsmanship and citizenship. John Bauman - CFRSOA Soccer NFHS Rule. Take Part. Get Set For Life.™ National Federation of State High School Associations 2016 Solid-Colored Uniform Reminders. INTRODUCTION Gary Pigott, Senior Director of Athletics Harvard Jones, Assistant Director of Athletics FHSAA Administrators. Take Part. 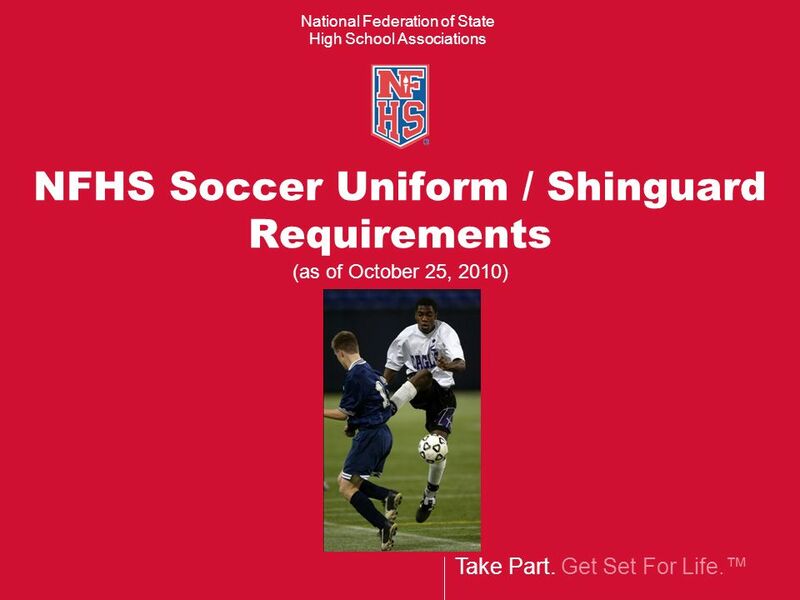 Get Set For Life.™ National Federation of State High School Associations NFHS Soccer Rules PowerPoint. Take Part. 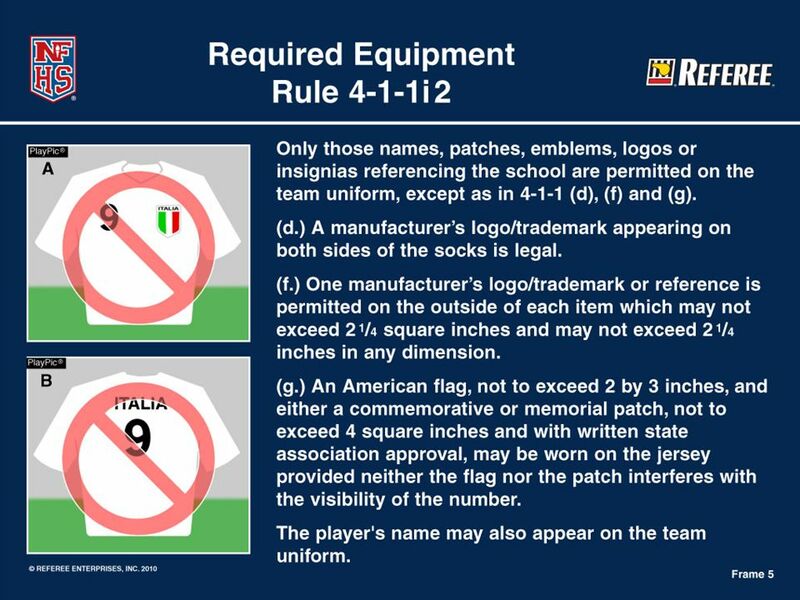 Get Set For Life.™ National Federation of State High School Associations NFHS Soccer Uniform Requirements. 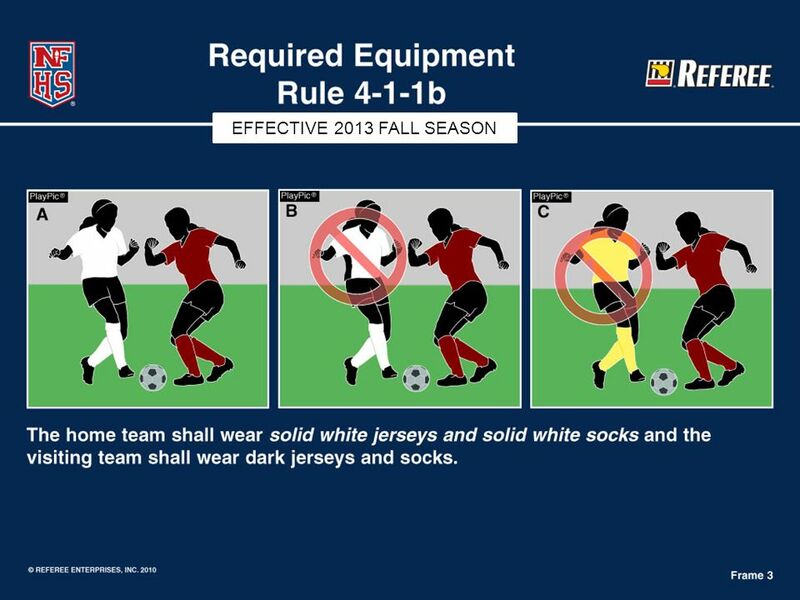 SOCCER RULE BOOK FORMAT Play Rulings – New Format Importance of Play Rulings Locating the Play Rulings Points of Emphasis – New Format Points. Take Part. Get Set For Life.™ National Federation of State High School Associations 2008-2009 NFHS Soccer PowerPoint.